On a Saturday morning, we decide to head to The Little Pantry at Shenton Park for brunch. When we arrived, the cafe was busy but at the same time, we were also lucky to be able to find ourselves a table by the window. We started off our brunch by having coffee. Dad enjoyed his Latte and thought that it was smooth, aromatic and creamy. I had the Brioche French Toast ($15) which comprises of nutella, buttermilk caramel strawberries, vanilla ice cream and pistachio. 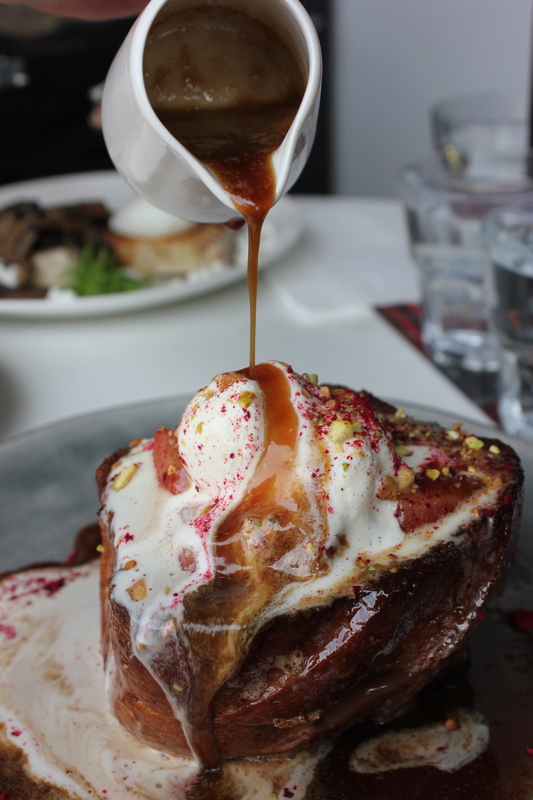 The french toast was perfect – it was soft and fluffy inside and crisp on the outside with layers of nutella, complementing well with the pistachio and buttermilk caramel strawberries. The Brioche French Toast is guaranteed to give you a sweet start to the day. 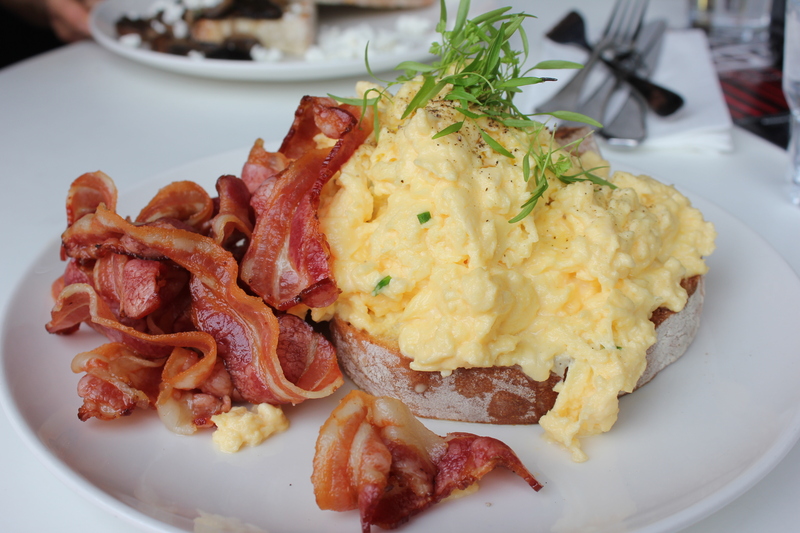 Dad had the Scrambled Eggs with Margaret River Farm Shop Big Red Belly Bacon ($16). It was very generous in portion. The scrambled eggs were cooked to perfection and was light and fluffy. The bacon was cooked well to crisp on the outside with a hint of tenderness. Mum had the Mushroom Ragu with Danish Fetta ($16) and poached eggs. Mum’s poached eggs were spot on. One knife through and you get yellow liquid oozing out from the eggs. 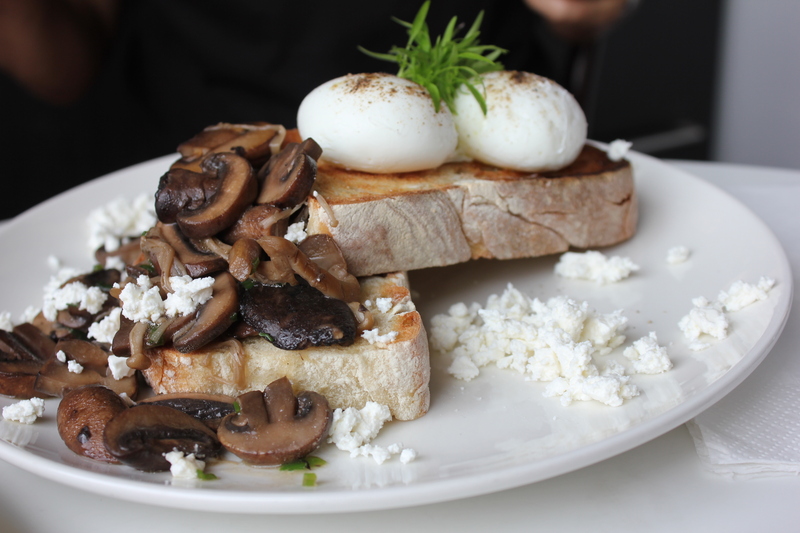 Apart from the perfect poached eggs, the mushrooms and danish fetta were also delicious and complements each other well. After finishing our dishes, we were very satisfied and have enjoyed our dining experience at The Little Pantry. The ambience was lovely and the service was efficient and friendly. Yes, we will definitely be back to The Little Pantry.